Fresh, healthy and tasty! 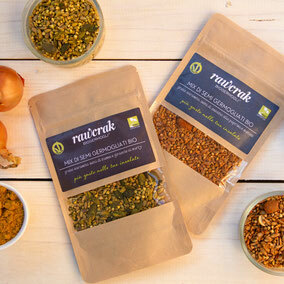 Our raw bar selection contains 100% artisan organic millet and buckwheat sprouts. Much attention paid to the nutritional values as well as the delicious taste. Super healthy breakfast "nutritious snack"
Crunchy and naturally sweetened, a good start to the day with a generous dose of energy to satify sugar cravings without giving up on your healthy choices. These Italian organic almonds have been activated through the use of water, oxygen and natural light followed by the dehydration process at low temperatures. 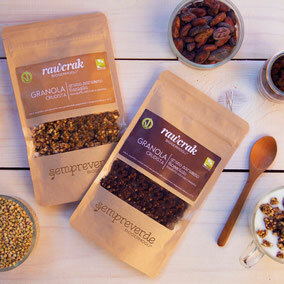 To enrich your salad with Superfood such as sprouted buckwheat. 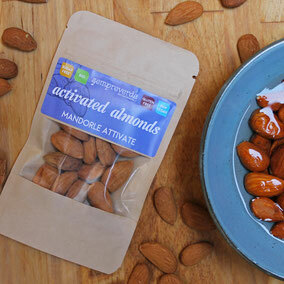 The energy and taste are also derived from the activated almonds and sunflower seeds. 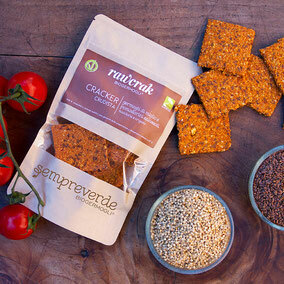 Flavorful yet healthy crackers that are great as snacks or accompaniments. They add a touch of crunchiness and health to your daily diet. Thanks to our sprouts, these crackers are a source of vital energy. 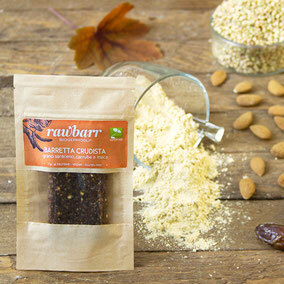 Would you like to try all our raw goodies? 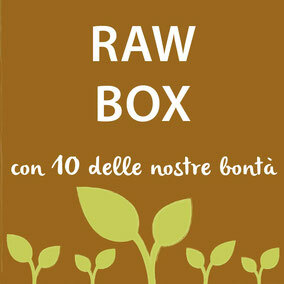 Here is the best solution for you : you will receive 13 of our raw specialities that include raw bars, granola, crackers and seed-mixes.